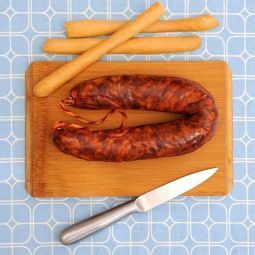 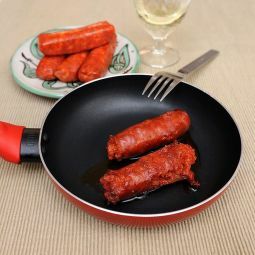 The Sweet Chorizo extra, in form of horseshoe, is a traditional air dried sausage made of the best pork from Leon. 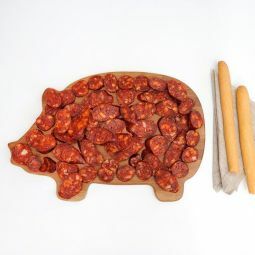 The great taste, the perfect drying point and the high quality meat turn it into a real delicacy. 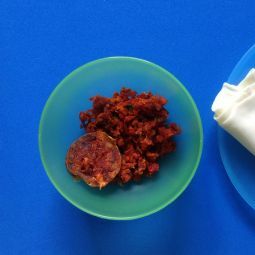 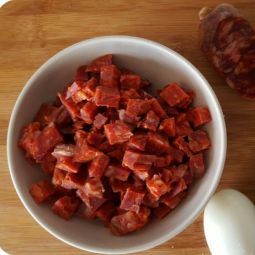 The Sweet chorizo extra is made with the best ingredients like pork from Leon or the cayenne (pimenton) that adds the special taste and colour. 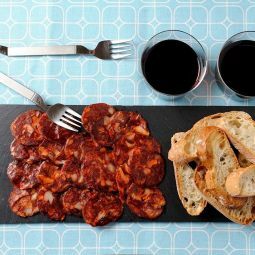 The careful elaboration and the perfect air drying makes this sausage a real delicacy. 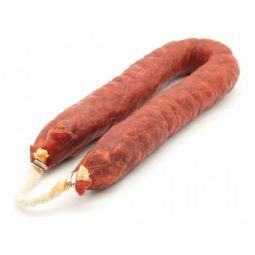 It has an intense reddish colour and a firm texture. 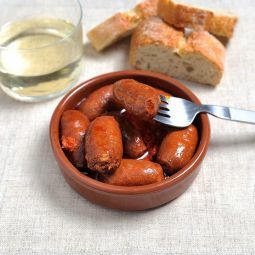 The chorizo is juicy and tasty. 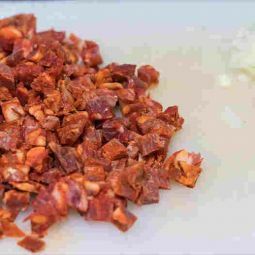 Our Chorizo Süss extra is perfect as snack, as sandwich or in any other way you can imagine. 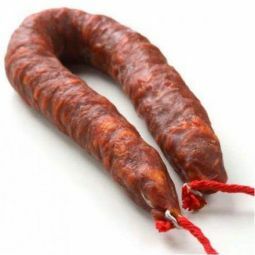 Enjoy a product of the best quality and with a traditional taste.